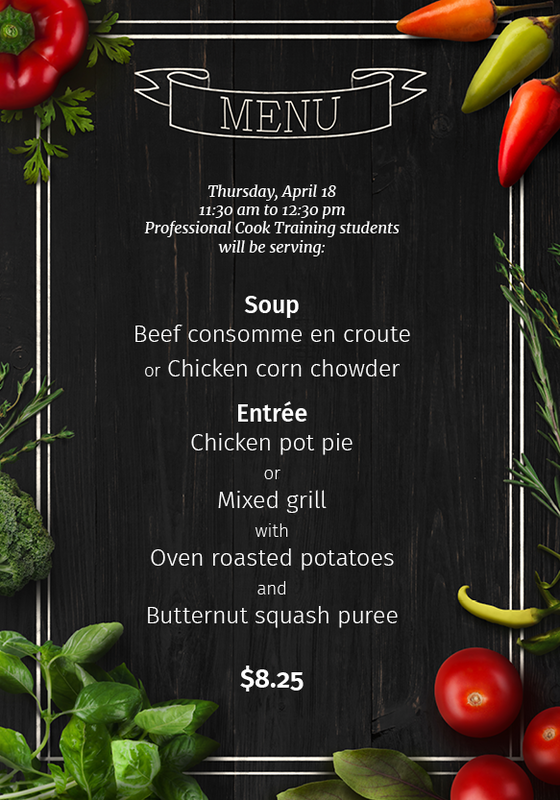 There are cafeterias on our Fort St. John and Dawson Creek campuses. 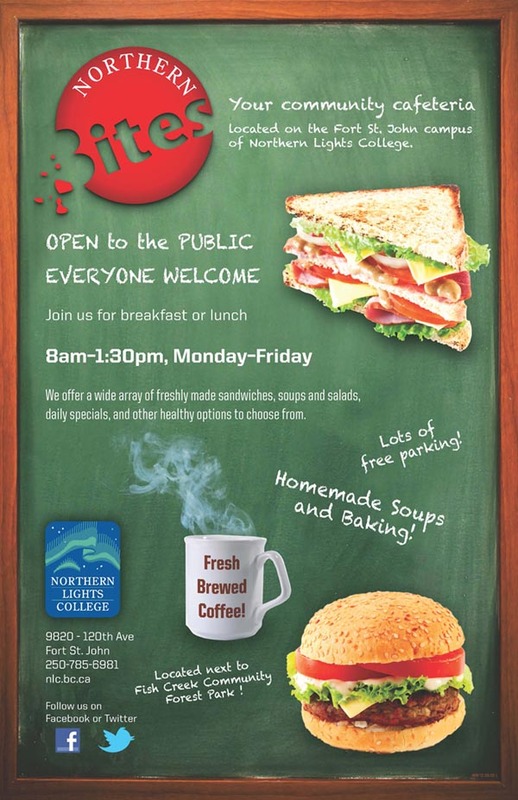 Northern Bites Cafeteria is on the Fort St. John campus, and North Star Grill is on the Dawson Creek campus. The Cafeteria and Bookstore will close at 4:00 pm Monday to Thursday; and at 1:30 pm Fridays. 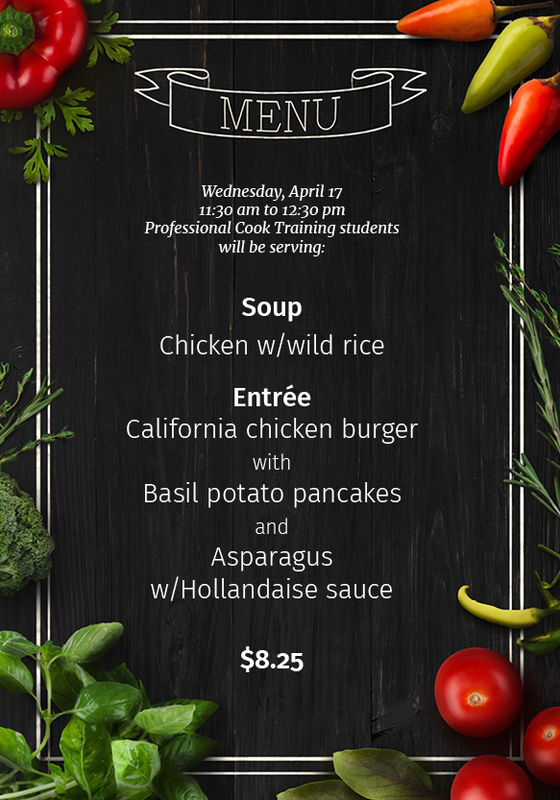 The Professional Cook Training students are serving up some great lunches again this Wednesday and Thursday.